Registrations will be processed in the order they are received. Early registration is recommended, as space is limited. All registrations are processed in the camp administrative office unless otherwise noted, and they will not be accepted at other Columbia Association (CA) facilities or camp sites. CA is not responsible for lost, stolen, mutilated, postage due, or misdirected mail that contains registration forms. Incomplete packets and illegible registration cannot be processed and will be returned, causing a delay in your registration. No space will be reserved for returned registrations. For all three options, either pay in full or leave a deposit and credit card on file. Camps are offered at two rates: one for those with CA memberships or Columbia Cards, and the other for non-members. 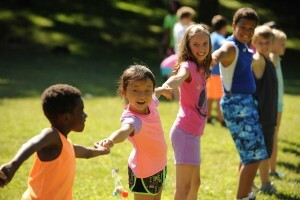 Non-members who live on CA-assessed property may obtain a free Columbia Card to receive the member rate for camps. To obtain a card, visit the Customer and Member Service Center and present your driver’s license or imprinted personal check, and your dependent children’s birth certificates to verify you live on CA-assessed property. Family members must be present to receive a Columbia Card. Columbia Cardholders are also eligible for discounts at pools and other facilities. Persons not living on property that is subject to the CA annual charge — but who qualify for resident rates by working full-time on or owning property that is subject to the CA annual charge — must complete the Associate Verification Form. Verification forms must be renewed annually and are not retroactive. Applications and supporting documentation must be included with registration forms to be considered. Please note: Extended Care and its costs cannot be split between sessions or prorated. Camps are offered at two rates: one for those with CA memberships or Columbia Cards, and the other for non-members. Non-members who live on CA-assessed property may obtain a free Columbia Card to receive the member rate for Camps. To obtain a card, visit the Customer and Member Service Center (6310 Hillside Court). Columbia Cardholders are also eligible for discounts at pools and other facilities. The Associate Verification Form must be renewed annually (see ColumbiaCamps.org). It must accompany the registration form to be considered. The Associate Verification Form is not retroactive.